There are currently courses running for ESA Levels 1 to 5. Click here for details of dates and venues. Click here to express an interest in Teacher Training. Each Level consists of six weekends in London, spread throughout the year, a four day intensive as part of the National Suzuki Workshop at The Royal College of Music in South Kensington, and a five day residential Summer School, this year being held at Malvern in Worcestershire. 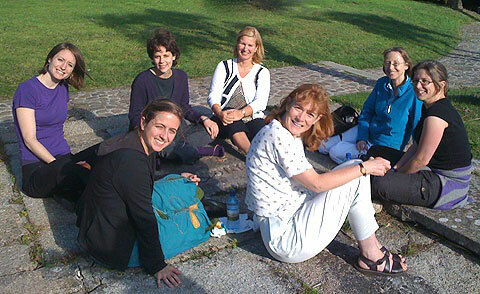 The British Suzuki Institute teacher training course follows the guidelines set by the European Suzuki Association. In order to take the ESA level examinations and gain accreditation as a Suzuki teacher, all teacher trainees must complete the ESA training syllabus and pass the ESA examination at each level. Trainees usually take a year to complete each level. However, they may choose to take longer if they wish. Except in exceptional circumstances, a minimum of five years is required to complete all examinations and therefore achieve the ESA Diploma and Graduate Teacher status. Trainees learn how to implement the Suzuki approach to music education while developing all aspects of their own playing and teaching. Suzuki teachers are specially trained to work with children from the age of three or four, and learn how to foster all aspects of a child’s musical growth with a positive and supportive approach and a greater understanding of the need for music in every child’s life. Trainees develop their own performance ability, musical memory, tone production, technique and musicianship, and gain the confidence to instil these skills in their students. With great emphasis placed on observation of other teachers and practice teaching at every level, trainees have the invaluable opportunity to learn from those with many years of experience who can provide constructive feedback on each trainee’s teaching skills. 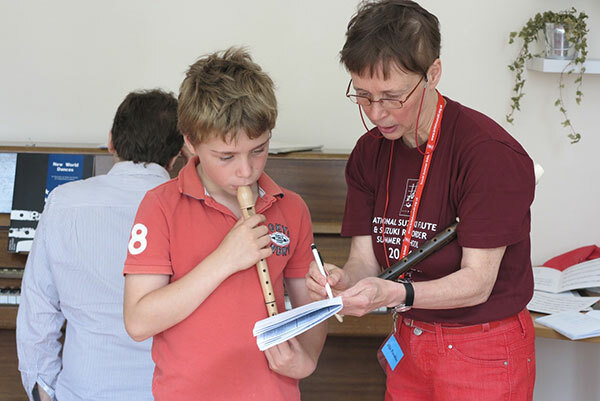 The training is available to musicians who wish to develop their teaching skills and undertake the rewarding career of teaching music to young children adopting the philosophy and approach of Dr Suzuki. As a specialist Suzuki teacher you will have the opportunity to change the lives of hundreds of children as they grow and develop into fine people and talented musicians through the Mother Tongue approach to education. Entrance to the course is open to candidates over the age of 18 following an interview and performance of the required audition pieces. Previous teaching experience is desirable but not essential. Teachers will normally be expected to start taking Suzuki pupils about half way through their first year of training. Each level examination passed will be registered by the British Suzuki Institute and the European Suzuki Association. After completing the Level 3 examination, teachers will become BSI Accredited Teachers. At the completion of Level 5, teachers will gain the ESA Diploma of Suzuki Teaching and will be recognised as BSI Graduate Teachers.